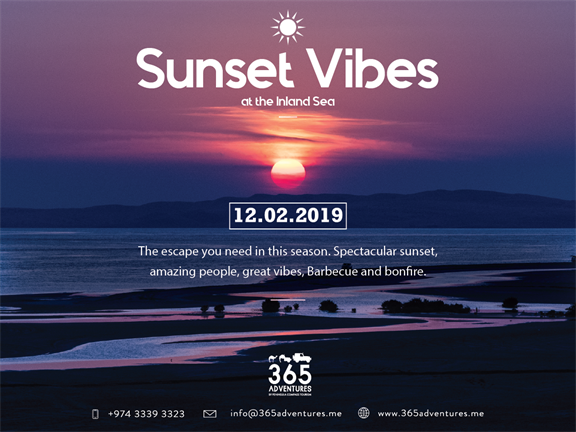 Be mesmerized by the magnificent sunset at the Inland Sea. Join the Half day safari adventures with stop for camel ride, Exhilarating dune bashing, passing by singing sand dunes, take a panoramic photo of the desert, snacks & hot drinks. All inclusive in QAR 180 per person.